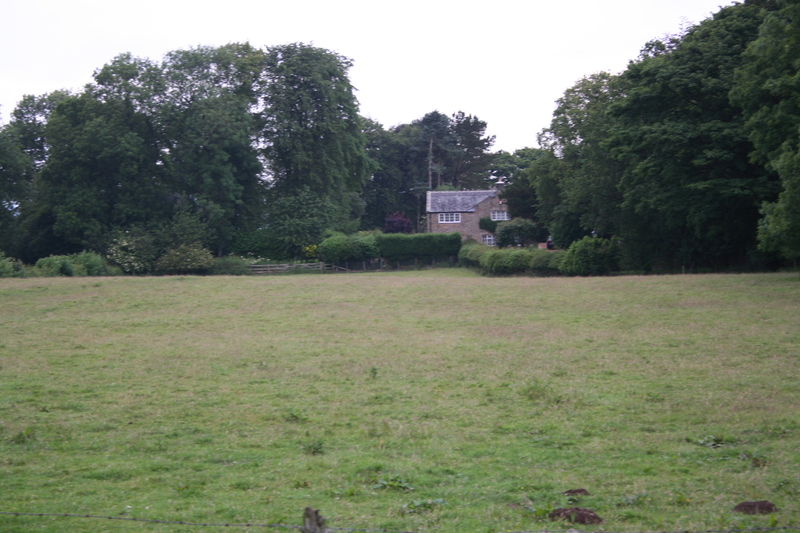 Or more accurately a walk round the edge of Ponteland which is mainly surrounded by land designated as ‘Green Belt’. It is what you might call a ‘nice place’. 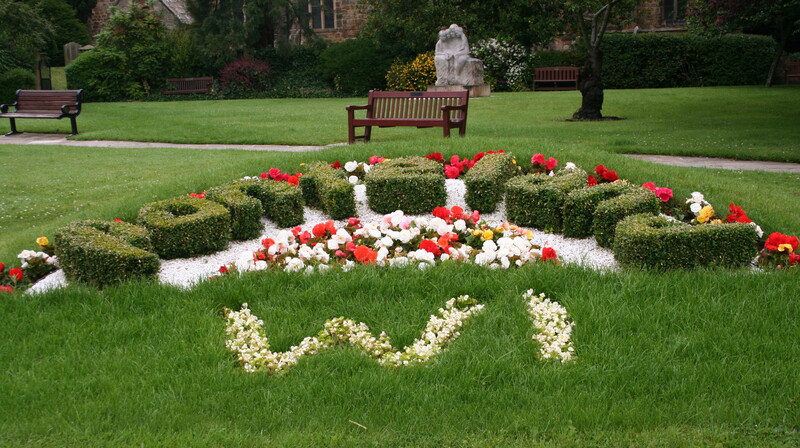 They’ve got flowers, sculpture and historical buildings. It’s also got people in expensive houses who are pretty clear that they want your attention and that they do not want more houses to built next to their town. 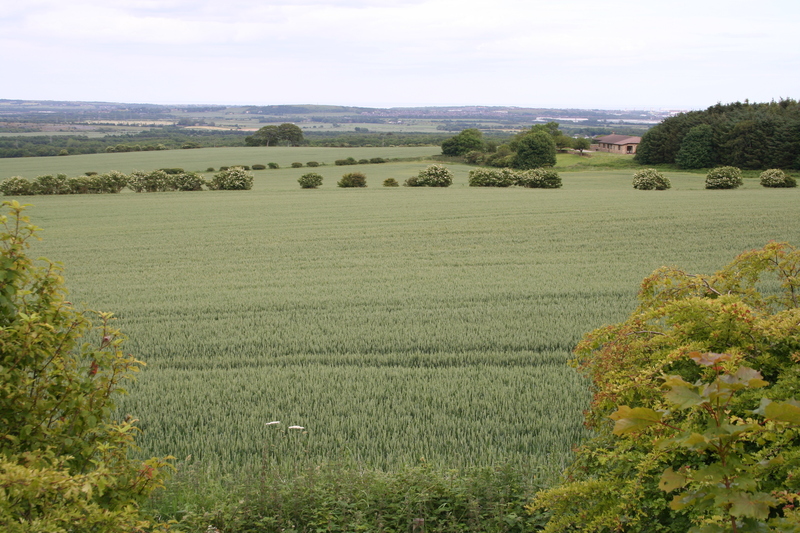 The greenest part of Ponteland and its surroundings is not in the Green Belt. 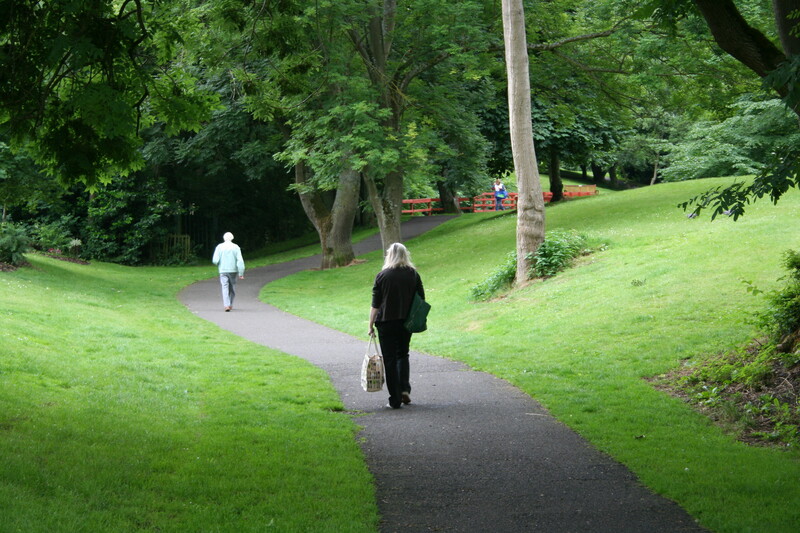 It is of course Ponteland Park which is 18 acres of gorgeousness right in the middle of town. 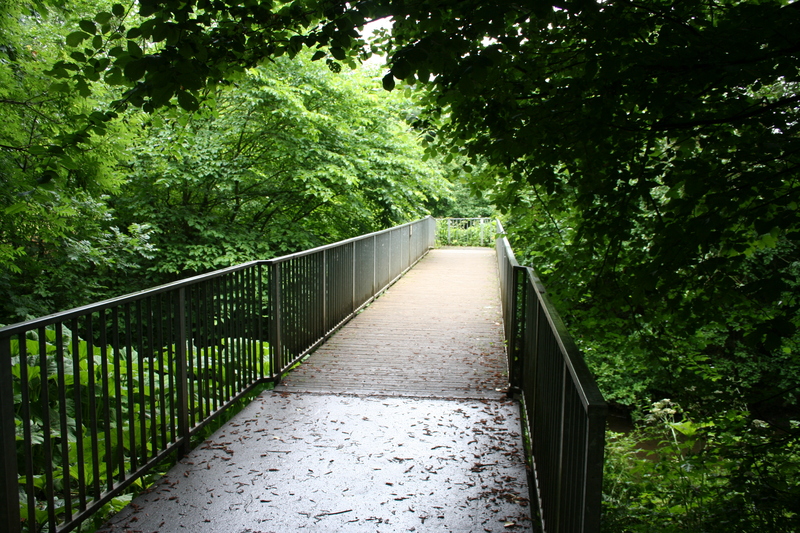 It’s got a river, bridges, apple trees, majestic trees, commemorative trees, sports, and most of all it has actual people using it, of which more later. 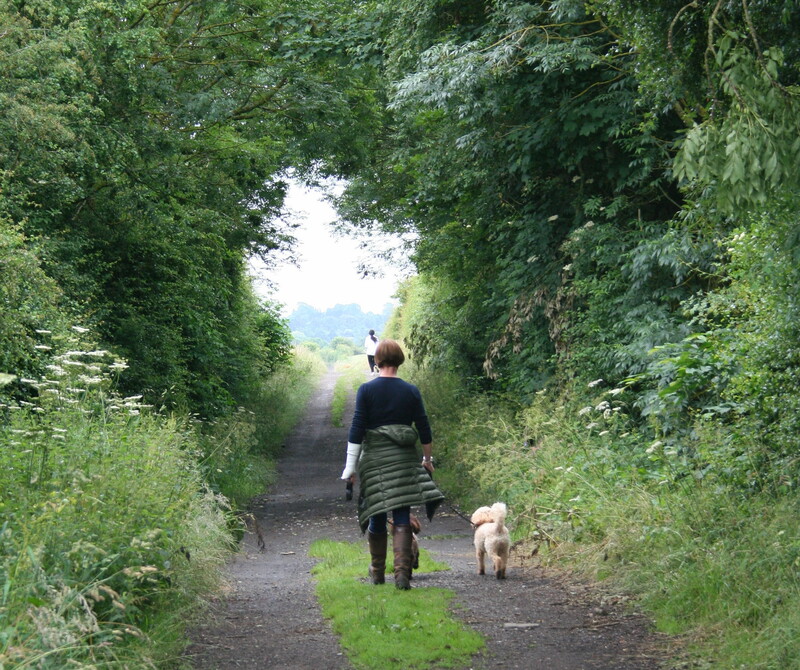 To the west of the town there is an old railway line which is used by walkers and athletes. 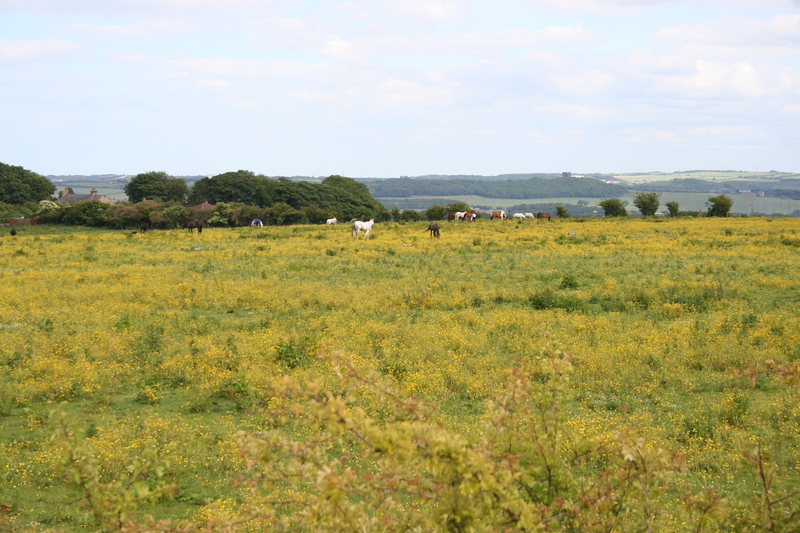 To the southwest there are some fields of grazing horses. This was a Tuesday lunchtime and no riders were about, but I presume that in the summer evenings and weekends people enjoy taking their equine beasts for a ride. It’s an expensive hobby, but they look like fine animals and the users don’t ask for a public subsidy as far as I know. 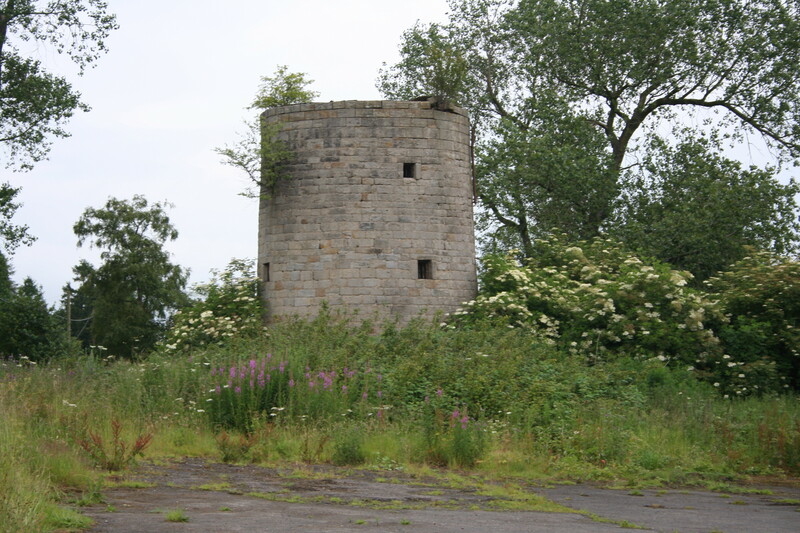 To the south of Ponteland is the Darras Hall estate and to the south of that is the site of an old windmill and Birney Hill Farm which is a listed building and so protected from any development within its designated boundary. 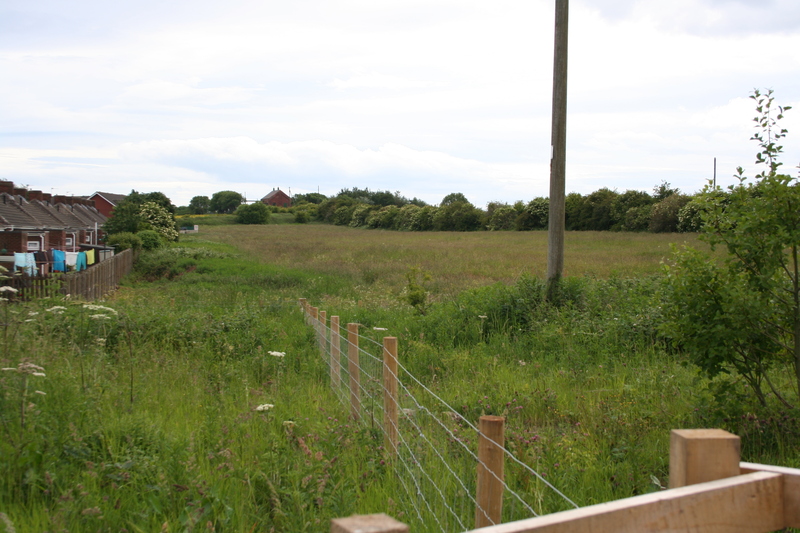 The fields that are immediately outside the boundary of Birney Hill Farm and some fields to the southeast of the town totalling well over 200 acres have recently been subject to a planning application which was unsuccessful and the Ponteland Green Belt group are ‘delighted’ about this. The first is wheat, the second is rapeseed. Both are intensive agricultural land which get a piece of the UK’s £3 billion a year farm subsidies. Based on obesity statistics, insufficient food production is the least of the problems in the north-east of England or the UK generally. Note that if you own around 100 acres of farmland you are probably a millionaire based on your assets, you get subsidised diesel, an inheritance tax exemption for your land and yet you’re still getting a cheque from the government. We could do almost anything at all with these lands and we as a country would be less poor. They are green now but will be yellow for a month as the crops mature, and then brown after harvesting. We don’t label them brown field sites though, even though that is their colour for half the year. And note also that there is nobody there. The road from Callerton Hall down the east side of the land has no footpath so you take your life in your hands if you plan to walk here to enjoy the view which admittedly is nice now, but apart from me and my water carrier (!) there was nobody else visible within a mile and no-one in their right mind would attempt to come here on foot along the roads. 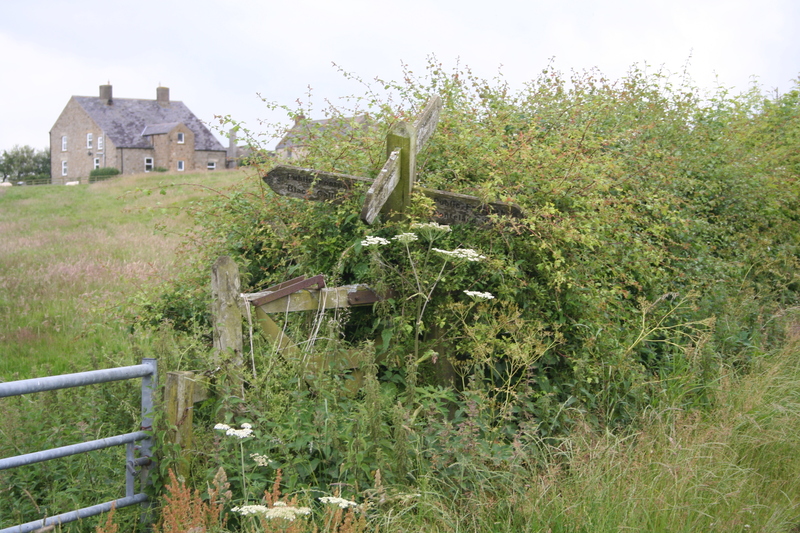 There are no public footpaths options on the land either. 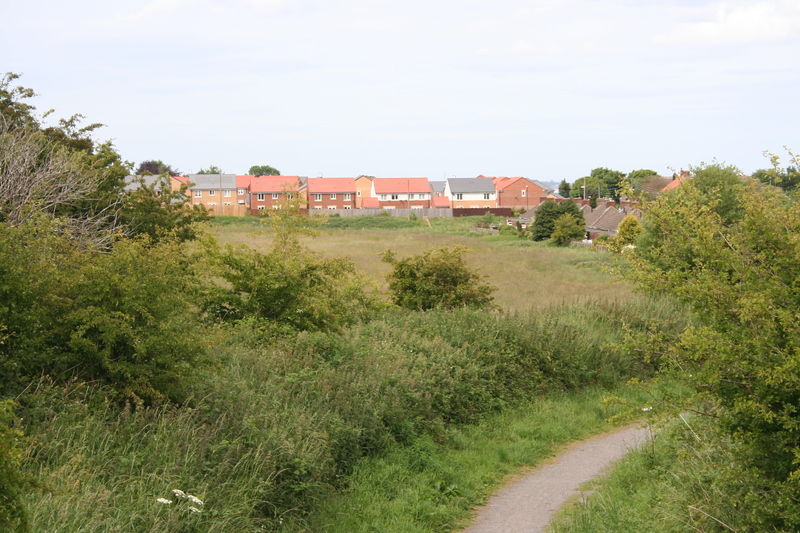 The government’s 2004 Barker report was absolutely right to say that land like this has an amenity value to the public less than 1/50th of land like Ponteland Park based on what I saw this day. For info the developer in question called Lugano had these plans for the area. 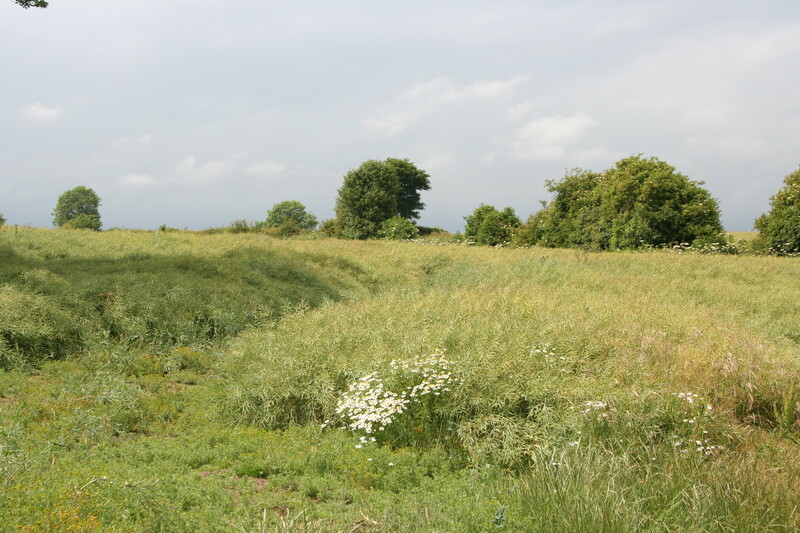 The proposal failed because the land is designated Green Belt and there’s a set of rules for this which require an exceptional need be demonstrated. 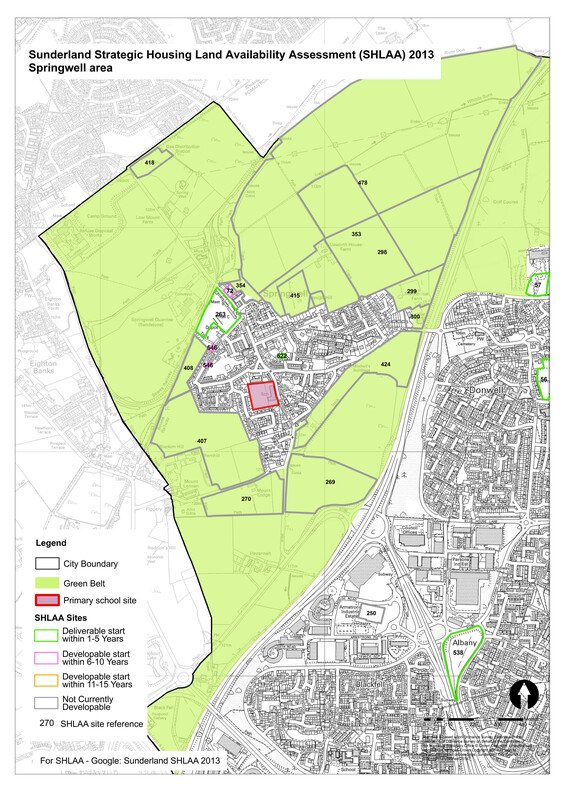 Whether the plans were better than what we currently have here in terms of more trees, more urban parkland, more jobs and more nice houses doesn’t really matter because the current rules are based around demonstrating exceptional need apparently. 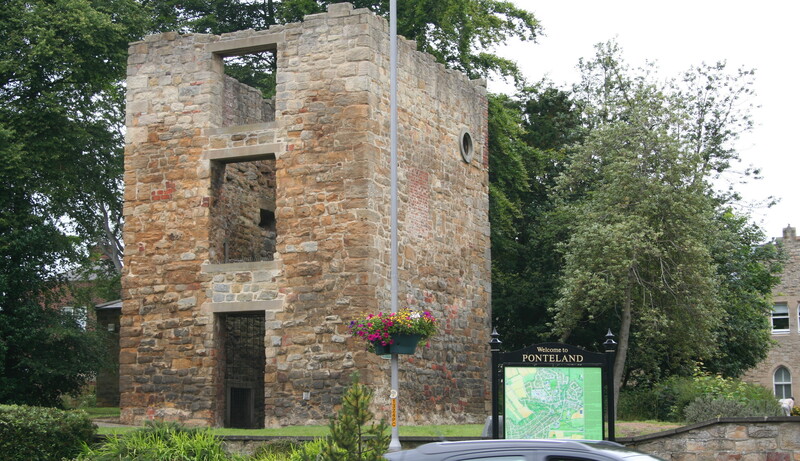 Ponteland has nice people, a cracking urban park and fine houses. 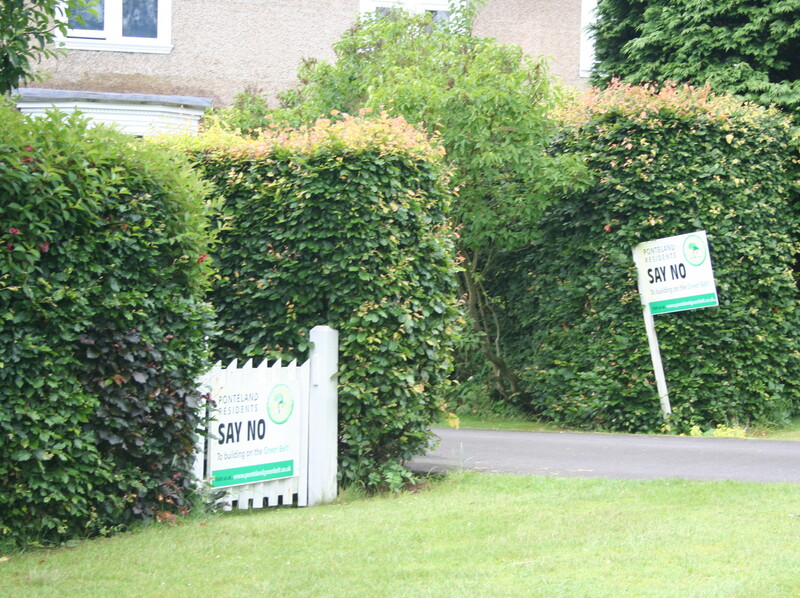 But looking at the estate agent-style signs objecting to development on the green belt, the residents do not want any more of the things that make it nice. This entry was posted in Uncategorized on July 16, 2015 by Andrew Carey. 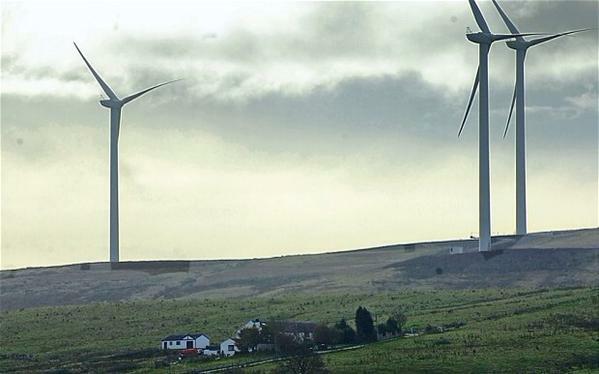 This is what part of Oswaldtwistle Moor currently looks like ( not the banner picture which are turbines in the USA ). Depending on your view you might see this as a beautiful place. It’s a bleak windswept moor with wind turbines saving the planet from warming. Or you might see it as an ugly industrial landscape. There are actually two industries operating on this landscape. Electricity generation is an industry, and onshore wind power comes at a cost of around £95 per MwH paid to the operators, compared to around £46 per MwH for electricity generated from fossil fuels. The second industry is agriculture. Grazing sheep currently gets a subsidy of around £80/acre. So some see beauty, and some like me see taxpayers’ money being spent twice in ways that make us poorer. How many people do you see suffering from insufficient calorie intake anyway? And do we really need to pay a kick-back to landowners to produce sheep on poor quality land when at certain times of the year unsubsidised New Zealand lamb is on our supermarket shelves at around the same price. The land isn’t natural anyway as sheep will eat young trees. Some commentators say that letting the hills revert to their mixed woodland natural state before sheep arrived in Britain will reduce flood risks. Note also that the only trees in the picture are next to the farm, and also that in most shots like this only the photographer is there. If some people still insist this is attractive there is hardly anyone putting their feet where their hearts are and actually going there. 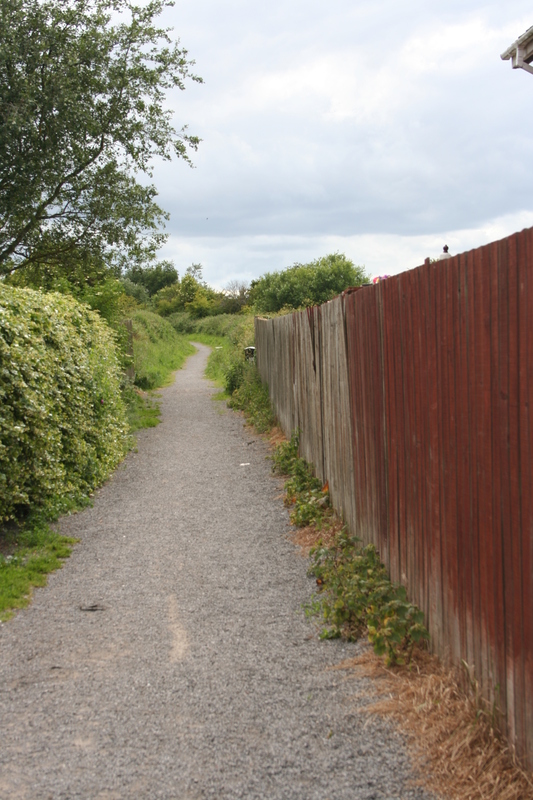 The amenity value to the public of land like this is very low indeed. This entry was posted in Uncategorized on July 11, 2015 by Andrew Carey. Springwell Village has been around since the 1820s. It lies between Gateshead and Washington, and for planning purposes falls just inside the Sunderland Local Authority area. It has no Post Office but does have excellent bus services. If you stand by the old Coop building in the daytime there is typically one every 7 minutes to somewhere and likewise on the opposite side. And at the moment if you pass through the place on a bus as I often do it is asking you to PAY ATTENTION TO US. 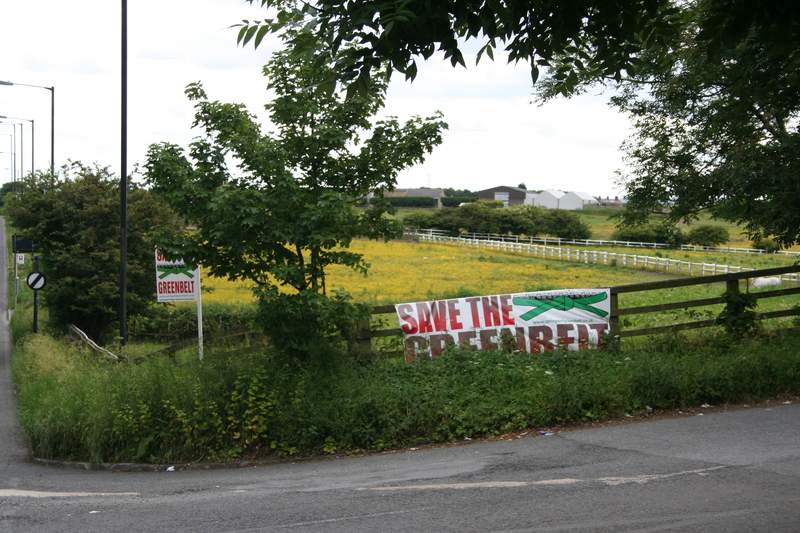 As you can see the Springwell Village Residents Association wants to ‘Save the Green Belt’. 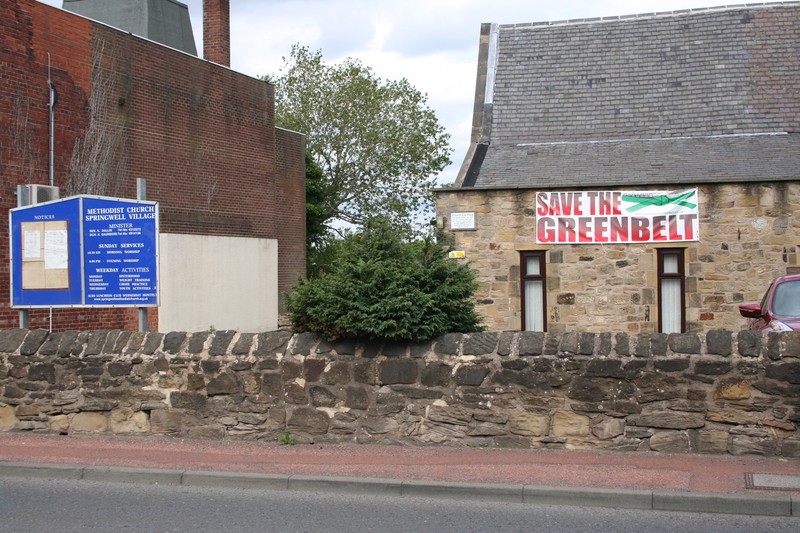 Even the Wesleyan chapel which has probably saved a few souls in its time is agreed that the green belt needs salvation. The woodland in the middle distance are actually Heworth and George Washington golf courses. These views and the public paths you can see them from are not under threat. So where are the parcels of land that could be developed and what are they like? 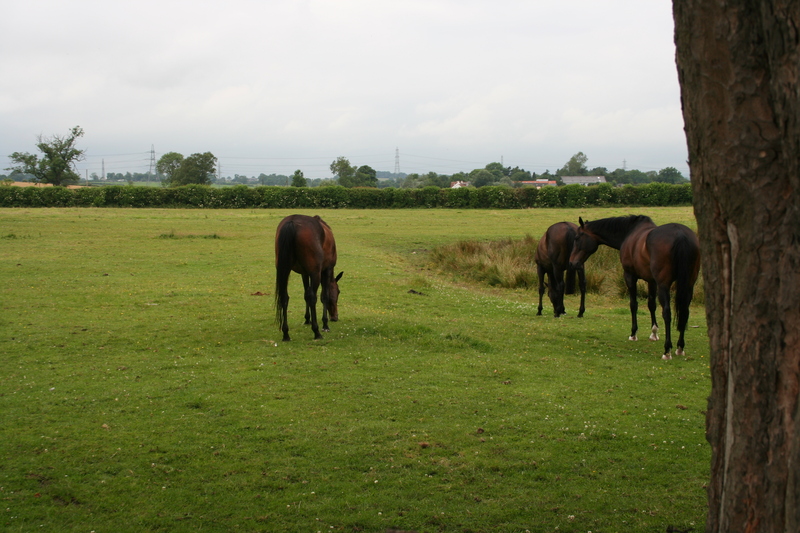 which is currently leased for grazing of horses. 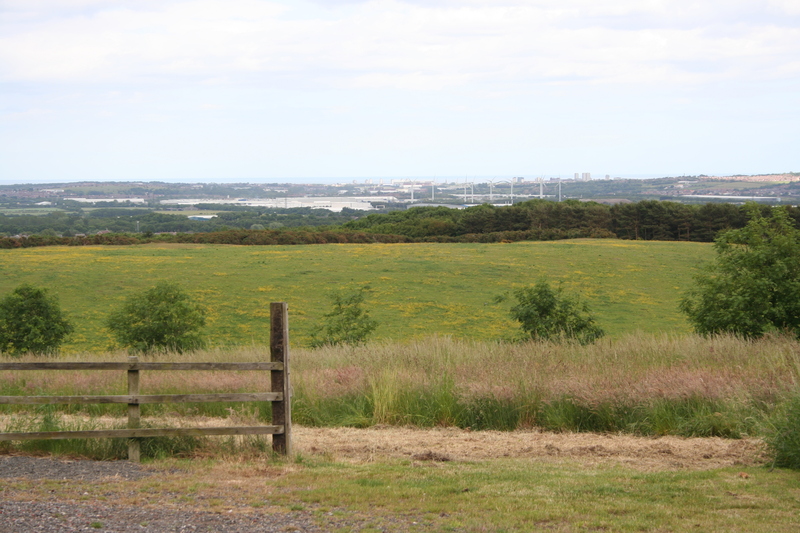 There are lots of buttercups and a view towards Penshaw Monument which realistically you’d need binoculars to see. then even when building is finished your view will be massively affected for better or worse depending if you prefer wild grasses, horses and buttercups to houses, lawns and cars. As far as known the land currently gets no agricultural subsidies. 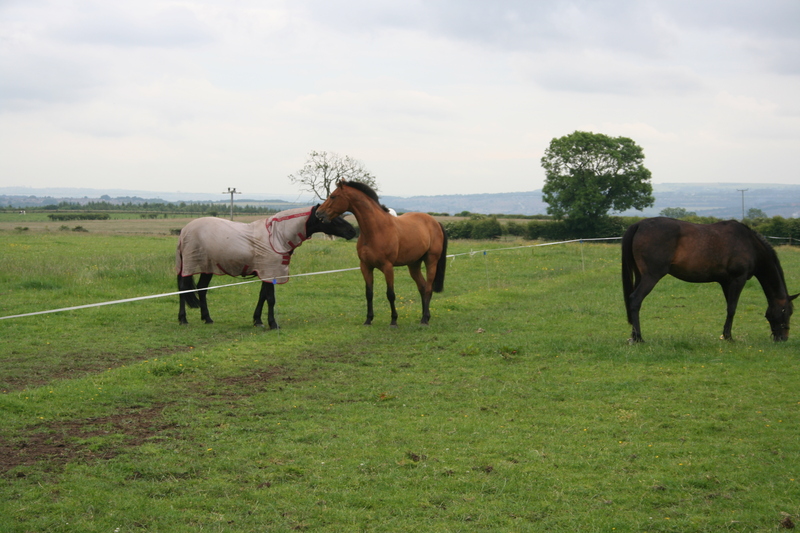 HMRC tells us that land used for grazing leisure horses doesn’t qualify. It’s not known yet if there will be any subsidies for the developer as plans haven’t been submitted. Currently social house builders can claim a subsidy but Hellens is a commercial organisation. 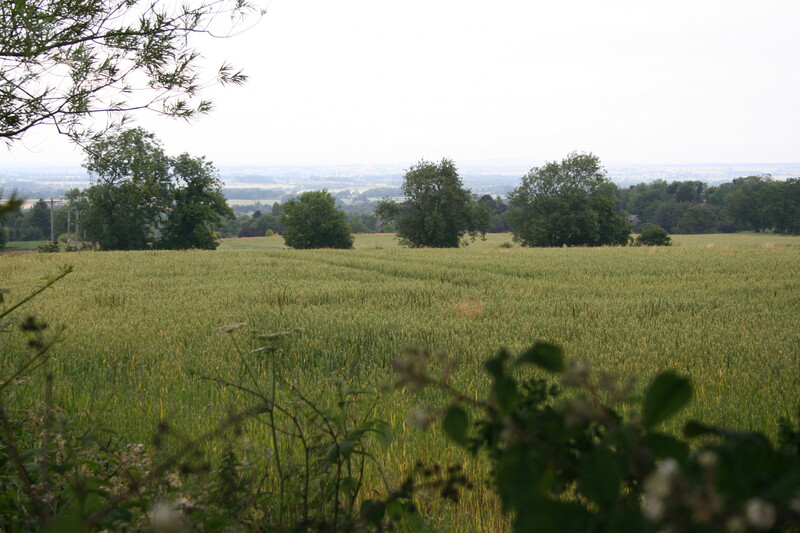 It’s not known either what the full terms of the sale by the previous landowner to Hellens were – the Land Registry records a sale value of £293,000 for just over 30 acres. There may be an option to buy back if planning permission fails, and there may or may not be further payments if planning permission is granted. It’s thought that water and sewerage are already in place here. It’s thought up to 300 dwellings could be accommodated which would be a bit of a squash. It’s also thought there will be plans by the developer to replace the primary school building in the village but until plans are published this isn’t clear. Next time – more thoughts generally about development. This entry was posted in Uncategorized on July 6, 2015 by Andrew Carey.